Below is the image of keyboard ideas, the mouse is most likely not be used for my scenery as the monitor I have picked is able to interact. First idea – A Curve Keyboard, similar to standard Keyboard layout; it is not futuristic after I have drawn it out. Second idea – the Keyboard is attached to the chair and has a thin size with no keys involve; it is very similar design from ‘No-Key Keyboard’. Third idea – As far as it goes, its is futuristic keyboard. 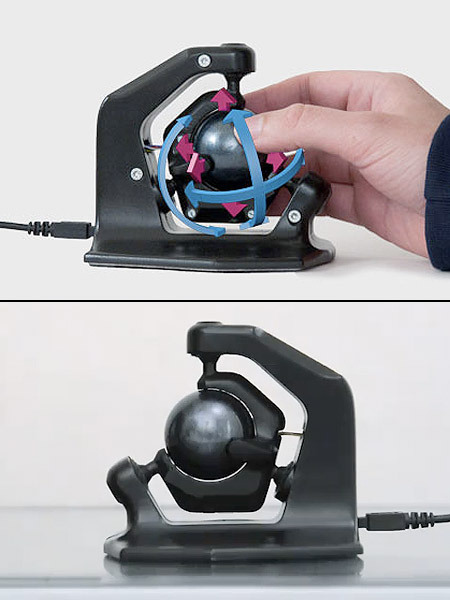 it has a sensor control at the corner, which release a ‘special object’ to allow the user to touch on the keyboard, enable to change the layout of the keyboard (such as changing the keys into colour palette program; reference from Optimus Tactus ) and also the user get the feel of actually touching the keyboard surface rather than touching the air. Third idea is also my ideal keyboard for my scene object. Another images of objects for reference for my project; mouse and keyboard. 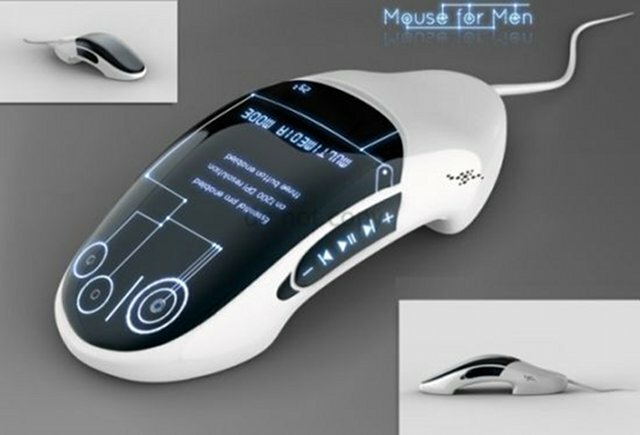 The first mouse is “Arc Mouse” from Microsoft which will be made in the future, its an wireless mouse and can be folded; I think it was made to be folded for specific reason – making sure the lower part of the mouse is not easily detached from the upper mouse. The next image is by far the most complex mouse I have ever seen, “Axsotic 3D Spheric mouse”. Except it programmed to be a mouse but more of an device. This image looks a lot of a mice from its appearance, which been named as “Mouse for Men”. Its concept seems to come with touchscreen and pressure sensitivity of how it would work. Although, I am not very sure how it can be use at all. 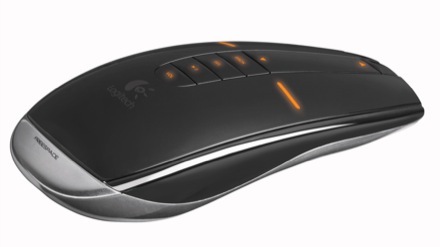 Lastly, this image is Logitech MX Air Mouse. As the title says, Air Mouse is where you can move your mouse cursor while holding it at mid air. 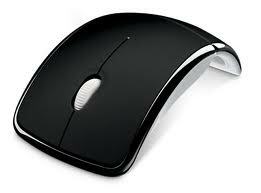 This mouse can be used as normal mouse or move around the mouse in the air. First image for keyboard is “No-Key Keyboard”. 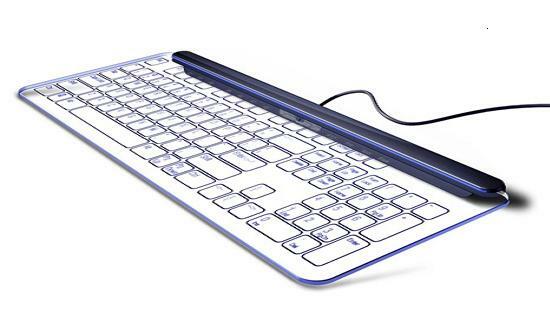 It’s an glass printed with keyboard layout that is attached with a motion capture camera hidden inside the large metal clip, so when typing onto this keyboard; you are actually tapping on the glass as the camera records the tap location and show the letter in the monitor. 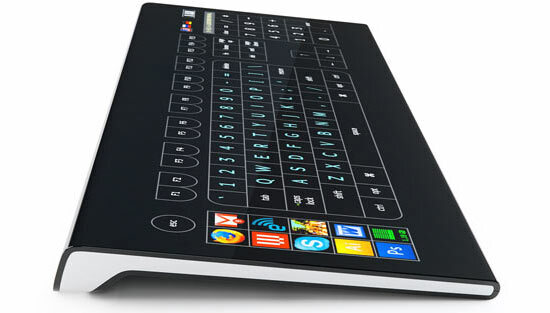 Next image is Optimus Tactus; its a unique keyboard that allows to change shapes from the keys as there is no restrictions on its shape and size, it could play video, show pictures and others. It seems this keyboard is capable to do almost everything that we daily uses. 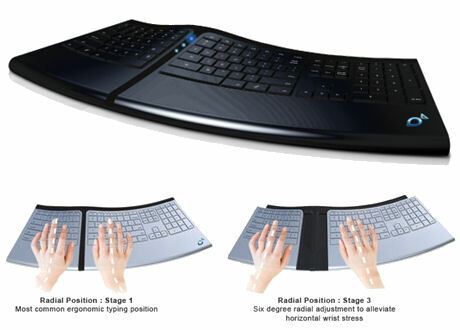 It is able to expand to certain length assuring to reduce wrist stress, it aim to make an healthier computing. As the title says its flexible and moreover it is rustproof and water resistance. 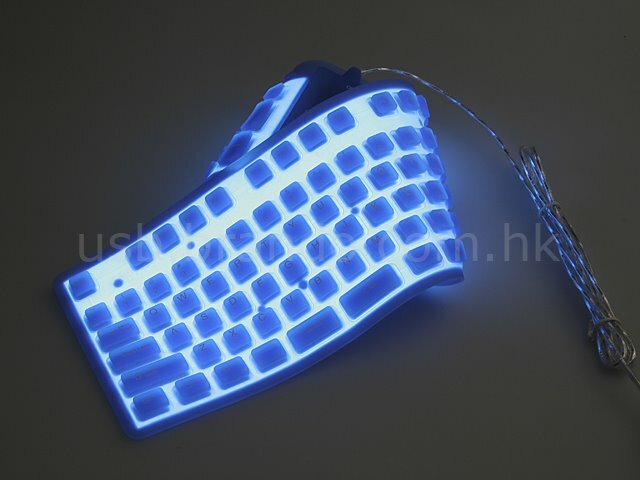 Except I wouldn’t find this kind of keyboard useful, its too bright.